Put the spring into your spring bank holiday and go to a dance class – Mrs Wormwood recommends a spritely foxtrot or daring Pasodoble. Go for a nice picnic in a local park. You could save money by crashing a friend’s picnic and eating their food. 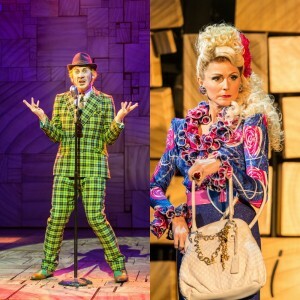 An extra day off can only mean one thing to Mr Wormwood… extra TV time. Make sure to binge watch at least 10 episodes of your favourite TV show. Dress to impress, buy the biggest sun hat and biggest sunglasses you can find. Blending in is so not in fashion, don your LOUDest floral spring outfit to turn heads this bank holiday. Make use of the extra day and spend quality time with your family… with a microwave dinner… in front of those 10 TV episodes you’ll be watching. In the likely event of a rainy bank holiday, don’t let the horrible English weather spoil your fun! Put on some really LOUD music and dance around your house singing at the top of your lungs. Forcing other members of your household to join in is essential.